A compact New England Modern/Traditional meld. The overall design is intended to be super classy and appeal to both traditionalists and modernists without being overtly stylistically categorizable. 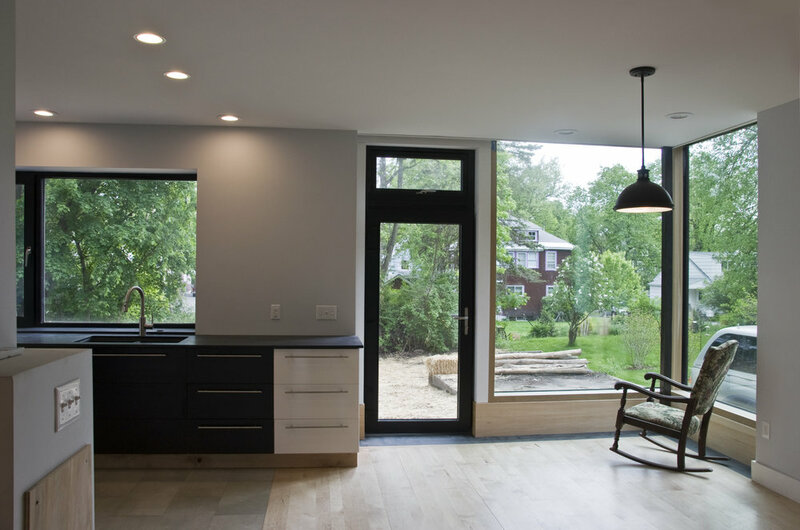 I wanted to show that a modern, superinsulated (almost Passive House certifiable) house doesn’t have to look overtly modern or look like it was designed by an person who only cared about the numbers like so many super high performance houses do. I think we pulled that one off. The overall footprint is 700 s.f. with 600 s.f. per floor on the inside. Visitors report that it feels much larger. 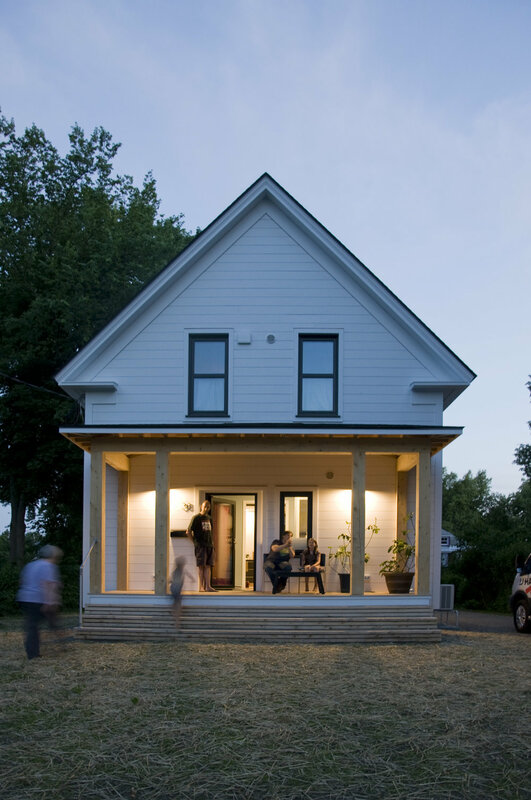 New Modern Compact Farmhouse in a suburban environment.